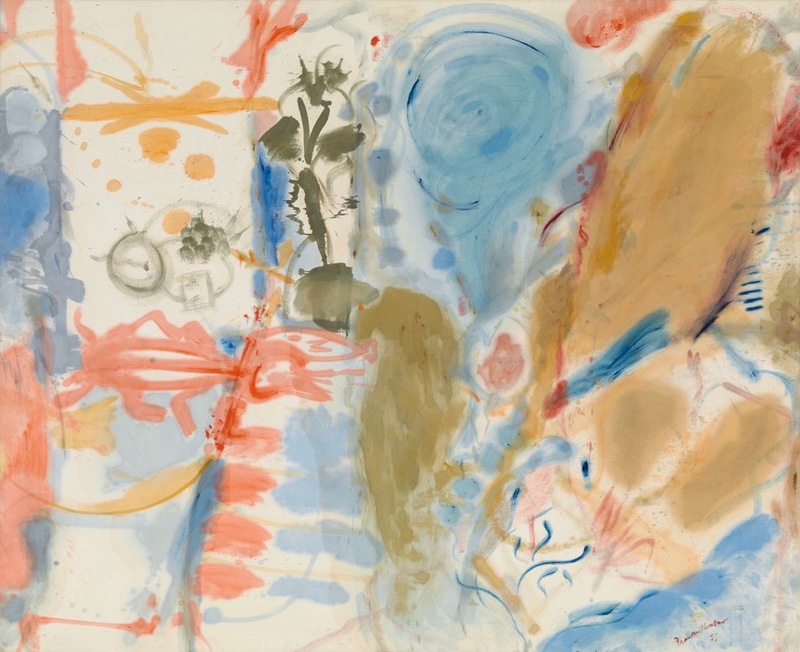 Helen Frankenthaler (1928 –2011): Nature Abhors a Vacuum, 1973. Acrylic on canvas, 103-1/2 x 112-1/2 inches (262.9 x 285.8 cm). National Gallery of Art, Washington, D.C., USA. © Helen Frankenthaler Foundation, Inc.
Too often, female artists are overlooked in art history, frequently overshadowed by their male counterparts. This show goes a long way to remedy some of this oversight. Women of Abstract Expressionism is the first Exhibition to present, at the same time, twelve of these remarkable female Abstract Expressionist artists. 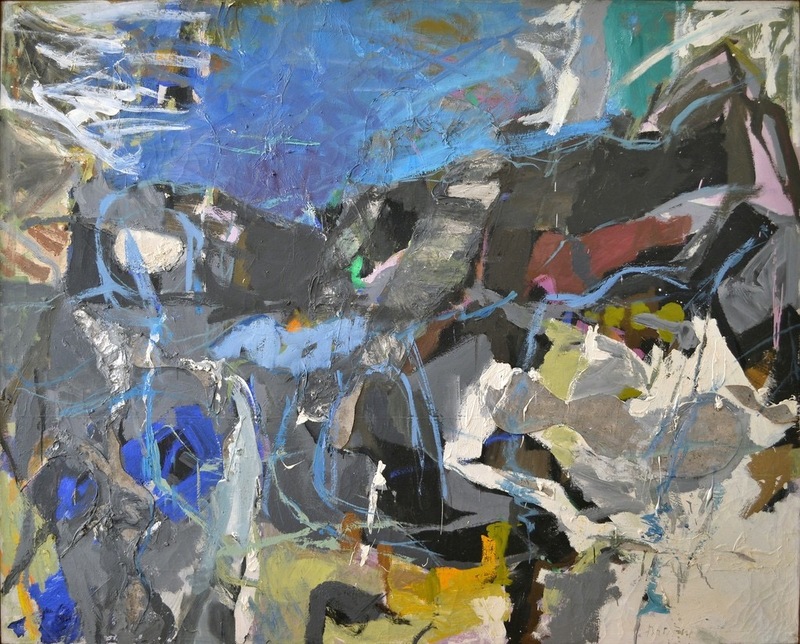 Over fifty major works are included — the artists: Mary Abbott, Jay DeFeo, Perle Fine, Helen Frankenthaler, Sonia Gechtoff, Judith Godwin, Grace Hartigan, Elaine de Kooning, Lee Krasner, Joan Mitchell, Deborah Remington, and Ethel Schwabacher. 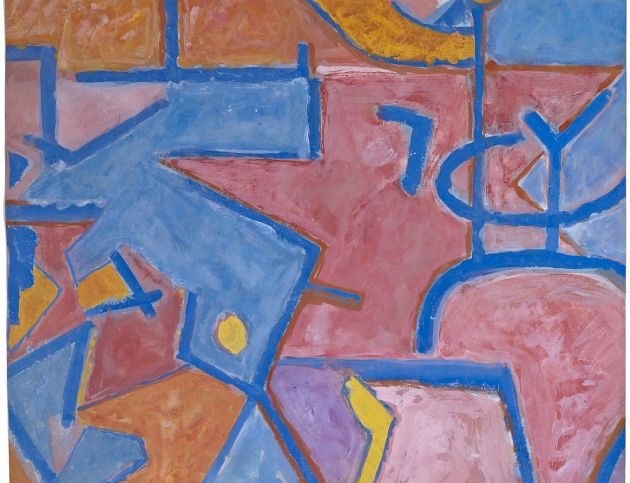 All of these artists worked during the 1940s-50s, on both the East and West Coasts, and produced some of the most exciting Abstract Expressionist works ever created. Following the Denver Art Museum, the exhibition will travel to the Mint Museum, Charlotte, in October 2016 and the Palm Springs Art Museum in February 2017. 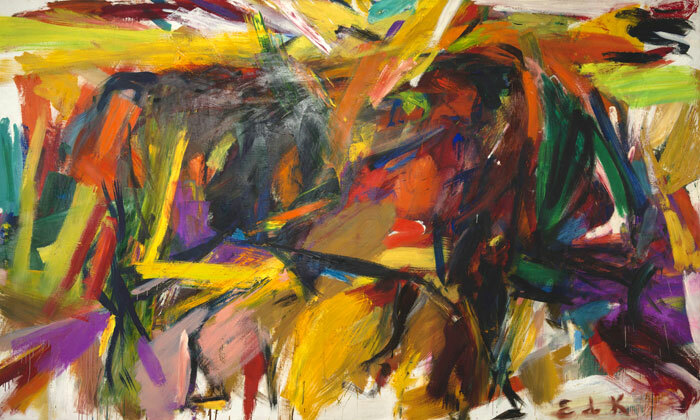 Joan Mitchell (1926-1992): Untitled, 1957. Oil on canvas, 27 x 57-1/2 inches (68.6 x 146.1 cm). Edward Tyler Nahem Fine Art, LLC, New York, NY, USA. Helen Frankenthaler (1928–2011): Western Dream, 1957. Oil on canvas, 70 x 86 inches (177.8 x 218.4 cm). Gagosian Gallery, New York, NY, USA. © Estate of Helen Frankenthaler/Artists Rights Society (ARS), New York. Elaine de Kooning (1918–1989): Bullfight, 1959. Oil on canvas; 77-5/8 x 131-1/4 x 1-1/8 inches. Denver Art Museum, Denver, Colorado, USA. © Elaine de Kooning Trust. 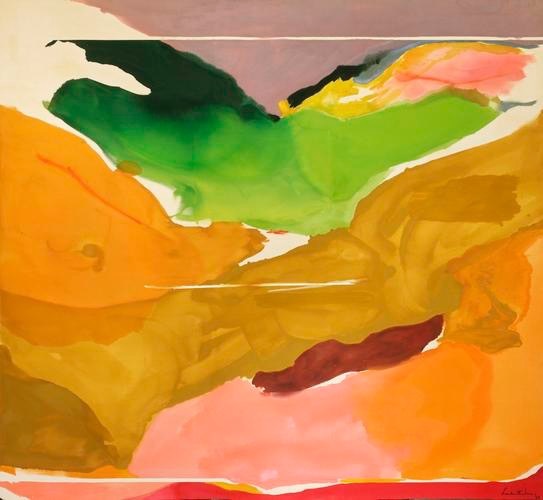 Helen Frankenthaler (1928–2011): Elberta, 1975. Acrylic on canvas, 79 x 97 inches. Private Collection. © Helen Frankenthaler Foundation, Inc. / Artists Rights Society (ARS), New York. Lee Krasner (1908-1984): Untitled, 1948. Oil on pressed wood, 18 x 38 inches (45.7 x 96.5 cm). The Jewish Museum, New York. © The Pollock-Krasner Foundation/Artists Rights Society (ARS), New York. Helen Frankenthaler (1928–2011): Nature Abhors a Vacuum, 1973. Acrylic on canvas, 103-1/2 x 112-1/2 inches (262.9 x 285.8 cm). National Gallery of Art, Washington, D.C., USA. Image: Helen Frankenthaler Foundation. © Helen Frankenthaler Foundation, Inc.
Perle Fine (1905–1988): Child’s Play, 1973. Watercolor on paper, 19-3/8 x 22-1/2 inches (49.2 × 57.2 cm). Berry Campbell Gallery, New York, NY, USA. © Perle Fine. © AE Artworks, LLC. 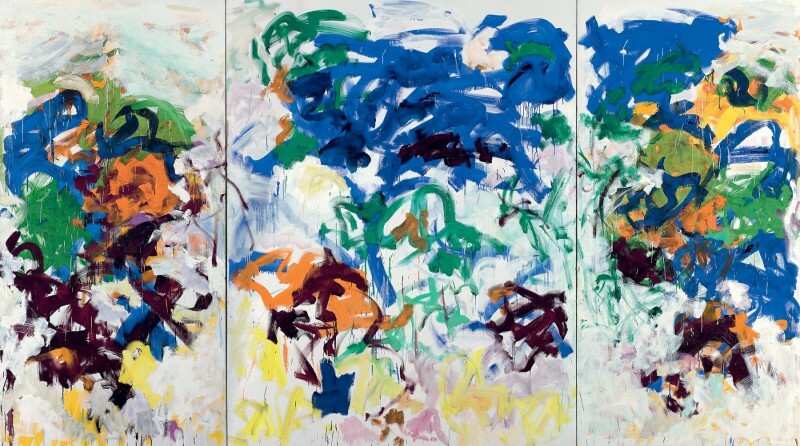 Joan Mitchell (1926-1992): Bracket, 1989. Oil on canvas (triptych), 102-1/2 x 181-3/4 inches (260.35 x 461.35 cm). The Doris and Donald Fisher Collection at the San Francisco Museum of Modern Art. © Estate of Joan Mitchell. Photo: Ian Reeves. Perle Fine (American, 1905–1988): Summer I, 1958-1959. Oil and collage on canvas, 57 x 70 inches (144.8 x 177.8 cm). McCormick Gallery, Chicago, Illinois, USA. © Perle Fine. Image: McCormick Gallery, Chicago, © AE Artworks, LLC.